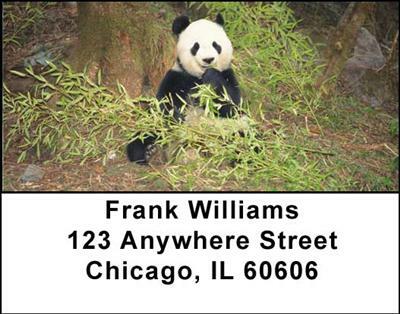 "Panda Bears Address Labels" product is already in your cart. The charm of these Panda Bears Address Labels will provide you with amusement as you see the antics of the animals. Like an oversized teddy bear these black and white creatures are adorable and will make you smile. Four delightful poses showcase the life of this bear that shows him clinging to a tree, two of them sitting and eating bamboo and the last shows him strolling by the forest. Though he looks like a child, his size belies the power of this hairy animal. Furry and fun these Panda Bears Address Labels will be enjoyed by all and provide endless entertainment.